The 16th International Conference on Computer Applications in Shipbuilding (ICCAS) will review operational experience from existing computer applications in the design and build of ships and offshore structures and will cover a full range of topics including; CAD, CAM, integrated systems, knowledge management, simulation and virtual reality applications, etc. These conferences attract a large international audience and provide an excellent forum for both those developing and using computer applications in shipbuilding. The conference will include an optional visit to Hyundai Heavy Industries (HHI) Ulsan shipyard on the morning of 27th September, the day after the main conference. The shipyard is one of the largest in the world; The Hyundai shipyard stretches over four kilometres along the coast of Mipo Bay in Ulsan and covers an area of 1,780 acres. The Ulsan shipyard has nine large-scale dry docks with eight huge 'Goliath Cranes'. HHI’s Ulsan shipyard is equipped with the most advanced facilities, from fully automated steel-cutting lines to environmentally-controlled painting shops. With a high level of automation and new production technologies ranging from off-line welding robots and indoor production of 40 m long blocks, to the two-component proportioning system in painting. Numbers for the shipyard visit are limited, so book early. RINA will arrange transport by coach to and from the shipyard, which is about an hour away from Busan. The keynote speakers at the ICCAS Conference will be Dr. Hyun Soo Shin, Vice President of Hyundai Heavy Industries (HHI) and Professor Tae-wan Kim, of the Department of Naval Architecture and Ocean Engineering, Seoul University and Editor of the Journal “Computer-Aided Design”. How Classic Systems Engineering Process Must Change To Be Effective For Use In Ship Design, John Martin, Samosc Ltd.
Click here to download the conference programme to view all papers being presented. The registration fee includes printed conference papers, lunch, refreshments, drinks reception, a CD-ROM of the papers and presentations after the conference. The CD-ROM will be posted to the delegates about 10-12 weeks after the conference. Located on Haeundae Beach, the hotel houses a large sporting complex complete with swimming pools, bowling alleys, and driving ranges, and is approx. 30 Km from Gimhae International Airport (Busan). Haeundae Beach is probably the most famous beach in Korea, it is 1.5 km long, 30~50m wide and well-known for the various cultural events and festivals held throughout the year. 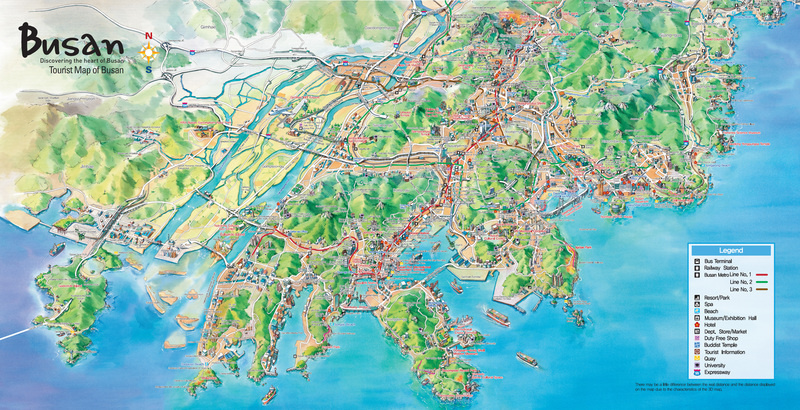 Download tourist map of Busan (6.8MB JPG format) or (6.4MB PDF format). 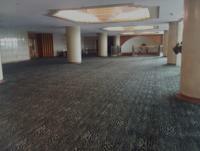 The conference sessions will take place in the Grand Ballroom, which is on the second floor overlooking the reception/lobby of the hotel. 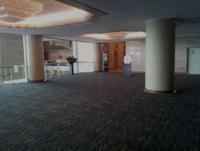 There will be a exhibition on the balcony area outside the main ballroom conference rooms. From the airport to Haeundae Beach takes approximately 40-45 minutes by taxi. The cost will be approximately 30,000 KWR for a regular taxi and 45,000 KWR for a deluxe taxi (black colour). There is also a Limousine Bus service (Haeundae line no.1 & no.2) which leaves from just outside the airport exit and stops at many of the hotels at Haeundae Beach; including Westin Chosun Hotel, Haeundae Grand Hotel, Novotel Ambassador, Paradise Hotel, etc. These buses leave every 20 minutes and the cost will be approximately 7,000 KWR. For the more adventurous delegates, you can also catch an Inter-city bus (No. 307) to Haeundae, which will take about 60 minutes (it may take longer depending upon traffic conditions) and cost approximately 2,000 KWR or you can take the subway. For the subway take the Busan Gimhae Light Rail Transit and transfer to Line 2 at Sasang Station and get off at Haeundae station. Cost approximately 2,000 KWR. 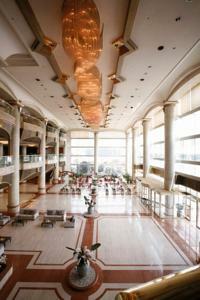 Sponsorship and exhibition opportunities exist for all of our conferences. ICCAS 2013 conference sponsorship represents an unrivalled opportunity to engage with your target audience in a focused setting. There will also be a exhibition area in the lobby outside the main conference halls. The wide range of sponsorship and exhibition opportunities means that we have the package to suit your needs and your budget. For more information please follow the link or contact John Payten (RINA Group Sales Director) Tel: +44(0)20 7235 4622 Ext 400 or e-mail: to discuss tailored options or availability. RINA has also sucessfully organised the previous three ICCAS events; 2011 in Trieste, Italy, 2009 in Shanghai and in 2007 in Portsmouth .